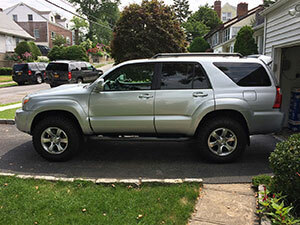 Toyota has rated the 4th Generation (2003-2009) 4Runner for a 1,500 Lb. maximum payload capacity (including occupants, equipment and cargo). Recently I have been using the 4Runner to haul loads of this maximum amount 1,500 lb. When doing so there is significant sag in the rear end. I measured the sag amount at 4-1/2" with a full 1,500lb. cargo load. Carrying heavy loads like this results in loss in ride quality such as bottoming out, poor headlight aim, increased body roll, poor braking and steering, rougher ride, etc. In an attempt to limit the amount of rear end sag when loaded I have installed Air Lift air bags. 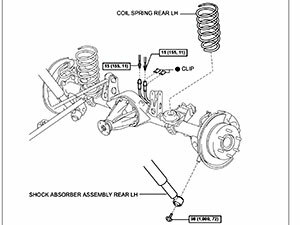 Air Lift’s 60000 series Air Lift 1000 air springs are marketed to help support rear coil springs and provide up to 1,000 lbs. of load-leveling capacity. 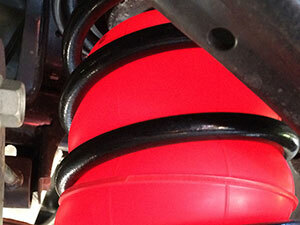 Air Springs are one solution to counter rear end sag due to carrying heavy loads. 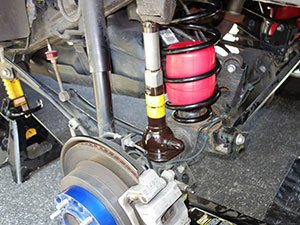 Alternative methods to limit sag include changing the rear coil springs to ones with a greater spring rate. But that would mean having a higher spring rate at all times, even when not carrying a load. One of the benefits of using the Air Springs is that when not carrying a load you can run the bags with minimum pressure in them, which is 5psi. At that low pressure level, there is no harsh ride as there would be with coil springs of a much higher rate. 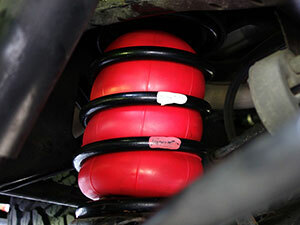 The Toyota 4Runner 4th Generation (2003-2009) rear coil springs are rated at 180lb/in. Toyota FJ Cruiser rear coils, a popular swap done by many 4th Gen owners including myself, are rated at 190lb/in. 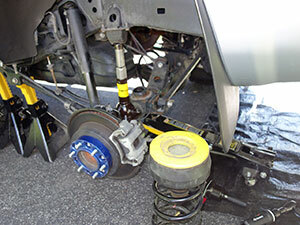 This means that the rear coil spring will compress 1" for each 180/190 pounds loaded into the cargo area of the vehicle. 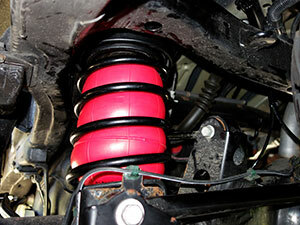 This equates to 360/380 pounds per pair of springs per one inch compression. So with a 1,500lb load, the 4-1/2" sag I noted is to be expected. (1500/(190*2))=4". 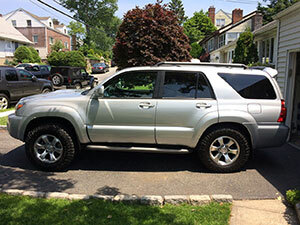 I started out with the Air Lift 60809 kit as recommended for the 4Runner. I was experiencing a little more sag with the air springs than expected. Although the Air Lift kit is designed with a 1,000 lb load in mind, I understand I am exceding this by 50%. Since I am running FJ Cruiser rear springs which are approximately 3/4" longer than factory 4th Gen 4Runner springs, I ultimately switched the #60809 air bags out for the 1" longer set #60744. The improvement noted was minimal but worth the try. You can find sag measurement tables for both sets of air springs at varying cargo loads towards the end of this write-up. Pics of the #60809 bags are after using for one month so they are a little distorted from being under pressure in the coil spring. There are two basic options for installation. Single Path or Dual Path. Single Path means “single channel” or “single pressure”. The air bags are Linked together. 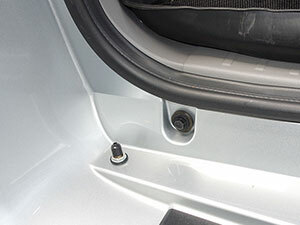 This means both of your air springs will be set to a single pressure and the pressure in each air spring will be equal. 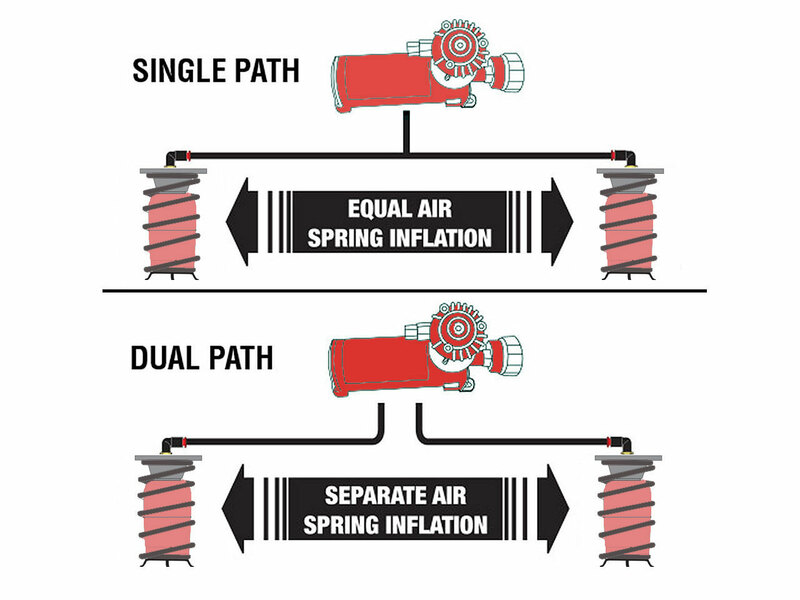 Single path means you will install a single inflation valve in which to inflate/deflate both air springs at one time. Dual Path means “dual channel” or “dual pressure”. The air bags are Independent of each other. This means you have the ability to set two separate pressures. 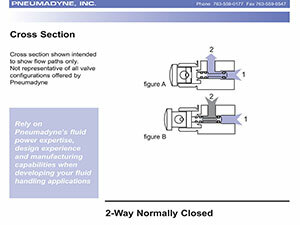 Dual path means you will install two inflation valves in which to inflate/deflate each air spring separately. I have done both type of installations, single path and dual path. I started out with the single path method. I figured this was the best compromise. I would simply always spread the load out evenly and not have to worry about the loss of flex off-road if the air bags were set-up in a dual path, independent fashion. But I quickly noticed that I often had a load only on one side due to a rear passenger utilizing the 40% split seating side and the cargo sitting on the 60% side. Also the opposite sway bar effect of linked bags was a show stopper. 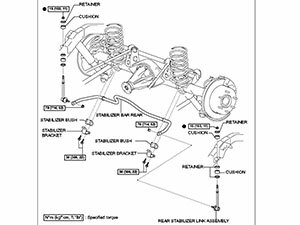 Again, this effect is noted when cornering and the air in the outside compressing spring transfers to the other side...countering the anti sway bar which is trying to keep the vehicle flat. So I quickly changed over to a dual path method, ordering Air Lift's #22007 Replacement Air Line Kit which includes 15' of replacement air line tubing. While this would be the best on-road option, I was still worried about the loss of flex off-road when it would be needed most. That is when I came up with the idea of using an Air Switch to take advantage of both installation methodologies. 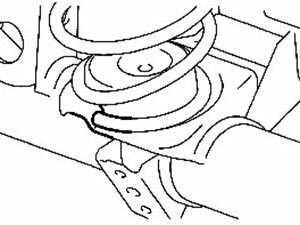 The air switch acts as an air valve which can either link the two air springs together when open, or can make the two sides operate independently when closed. This provides the best of both worlds. 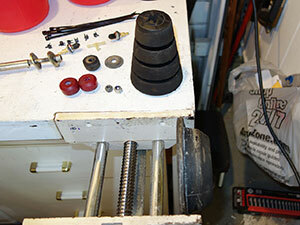 I can put the switch in the open position, then quickly air up both springs to equal pressure. Flip the swith to closed position and adjust one sides pressure as needed. 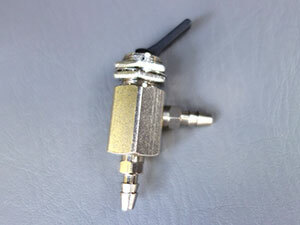 After hauling cargo, flip back to open position, let the air down to 5psi using only one schrader valve and leave the air swith in this open position to allow for full spring compression only available when side are linked to allow for air transfer from side to side. 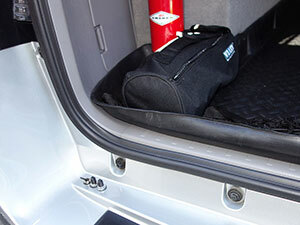 The rear air bag installation is straight forward and will take about one hour per side. Additionally leave about one hour to run all the air hoses, install the inflation valves and air switch and make thing nice and neat. Start out be removing the nut on the top of the rear sway bar end link. Then lift one side of the vehicle using a hydraulic jack. Support the rear frame with safety stands placed just in front of the rear wheel. Remove the rear wheel on the side you are working on. Remove the bolt on the parking brake bracket to give it enough slack. 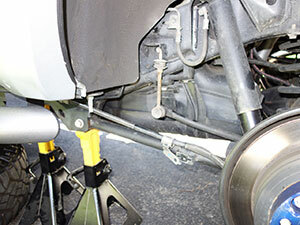 Reposition the jack under the rear axle and lift a little to take weight off the shock. 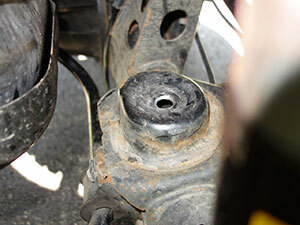 Then the lower shock bolt can be removed and the shock can be pryed off its mount using a pry bar. 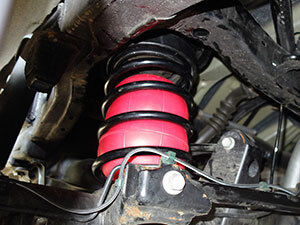 Now you can slowly lower the jack releasing tension on the coil spring. Since I have a Daystar Lift Spacer and 10mm OME trim packer installed the spring will not simply fall out as it may otherwise. In order to remove the spring I placed the factory bottle jack inbetween the bumpstop and the axle to spead the two further apart. 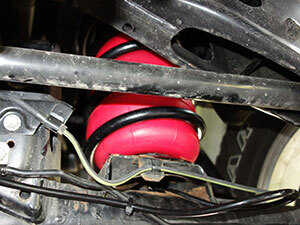 You can now be remove the coil spring along with the coil spring isolator bump stop. The panhard rod (rear lateral control rod) was not needed to be removed. Also the XREAS lines don't come into play as you do not unbolt the top of the shock. 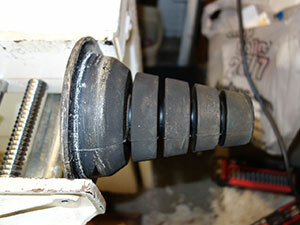 Remove the large jounce bumper in the top of the coil spring. 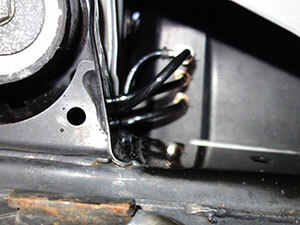 Trim the jounce bumper as specified by removing the lower four segments. 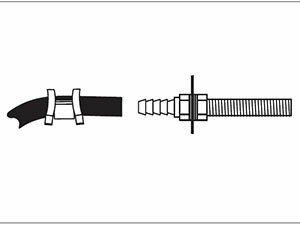 The installation manual specifies to drill the small hole in the lower spring seat out using a 9/16" drill bit or grind with a die grinder for hose access to cylinder. After doing so, using my right angle close quarters drill, I found the 9/16" size to be too small for my liking and went back and made it about 3/4". Be sure to use a dremel tool to clean up any sharp edges left from drilling to avoid cutting the air hose that will go thru here. At this point you have determined what installation methodology you will be using...Single Path, Dual Path or my Combined Method. 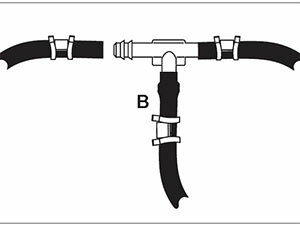 Cut an adequate length of air line for the side of the vehicle you are working on, leaving sufficient air line slack to preven any strain on the air fitting during axle motion especially when off-road. Slide the air line clamp onto the air line before pushing the air line onto the fitting. 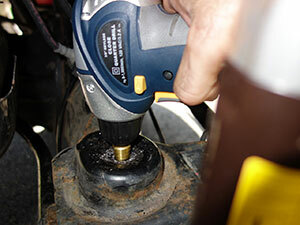 Push the air line over the brass air fitting on the air bag until all the barbs are covered. With pliers, slide the air line clamp forward until it fully covers the barbed section. 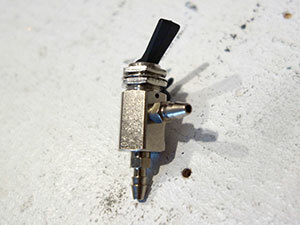 It is difficult to push the air line onto the barbed fitting but it can be done dry. Alternative methods to get the line on easier include holding the first inch of the air line in very hot water for a minute. For me this was inconvenient and did not work well. I found that heating the first inch of air line with a lighter for a quick five seconds made for a much easier install. 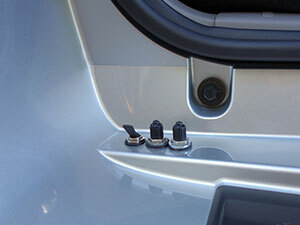 Once the air line is on the air bag, insert the cylinders into the springs with the inflation stem pointing downward. Route the air line thru the hole you enlarged earlier. 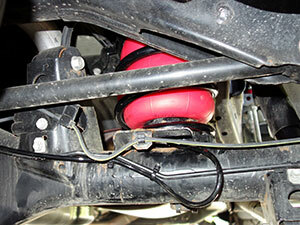 Install the springs back onto the vehicle’s rear suspension with the shortened jounce bumper in the top. 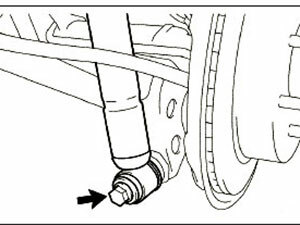 For the 4th Gen 4Runner installation you do not need to use the round air spring protector on the stem side (bottom) of the cylinder. Ath this point you can completely re-install the suspension by putting back the shock absorber, the parking brake bracket, and the wheel. 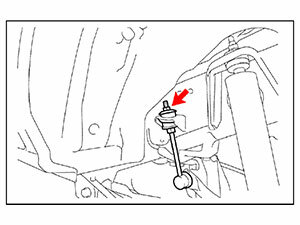 Let the vehicle back down and put back on the sway bar end link. 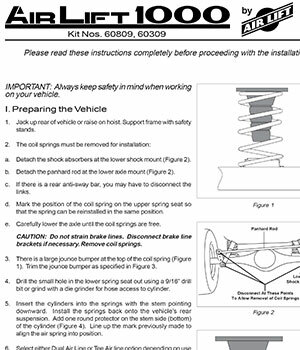 Then do these same steps to the opposite side getting to the point where you have both air springs installed and the air line routed thru the lower spring perch ready to route to the back of the vehicle. Now we need to route the two airlines to the passenger side rear bumper area. 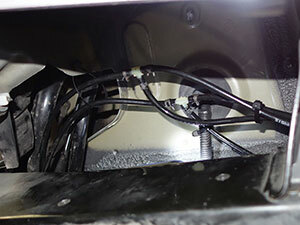 To prevent the air line from melting, keep it at least eight inches from the exhaust system. Locate desired tee location on the frame rail or cross member. Again, to install a tee, slide air line clamp onto the air line. Push the air line onto the tee fitting, covering all the barbs. With pliers slide the air line clamp until it fully covers the barbed section. 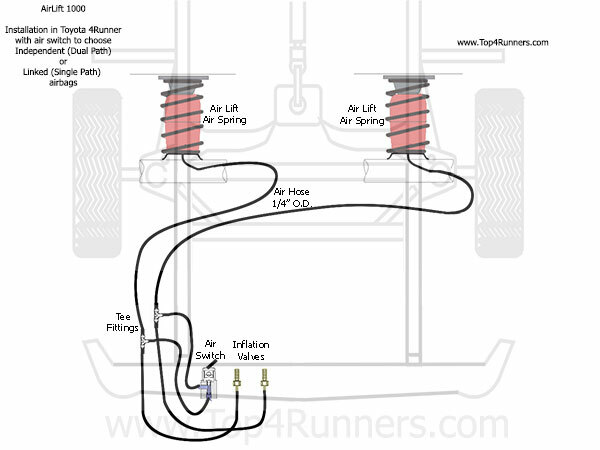 Route the remaining air line along frame to desired inflation valve location. Attach the air line along the way with plastic cable straps. 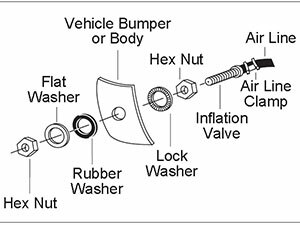 Select a location for inflation valve in the gas cap well, the trunk, rear bumper, fender flange or behind the license plate. 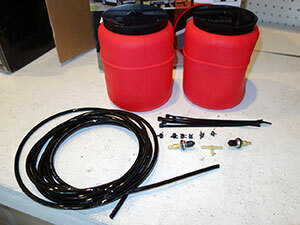 Insure that the valve will be protected and accessible with an air compressor hose for pressurizing. 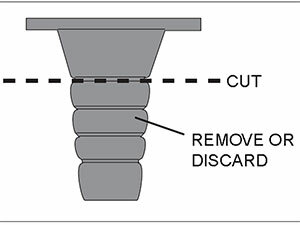 Drill a 5/16” hole for the inflation valve(s) and mount as in the illustration below. Rubber washer is for outside weather seal. Again, slide air line clamp over the air line. 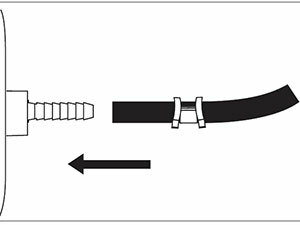 Push air line onto fitting covering all barbs, with pliers slide the air line clamp forward until it fully covers the barbed section. 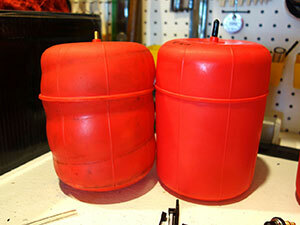 Inflate Air Springs to 35 psi. Check for air leaks at all fittings and valve core with a soapy water solution. 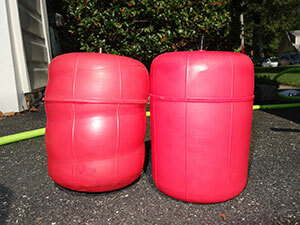 Deflate Air Springs in 5 psi intervals to determine best ride and handing. Recheck air pressure after 24 hours. 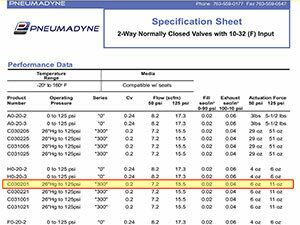 A 2-4 psi loss is normal after initial installation. If the pressure has dropped more than 5 psi re-test for leaks with a soapy water solution. 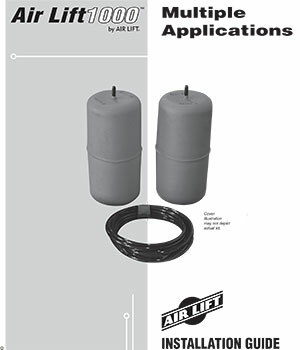 Here are some pics of the Air Lift Air Springs Kit #60744. 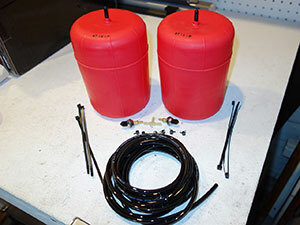 Here are some pics of the Air Lift Air Springs Kit #60809. Setup = Air bags linked together, using teed air line. 35 psi. 0 lbs. 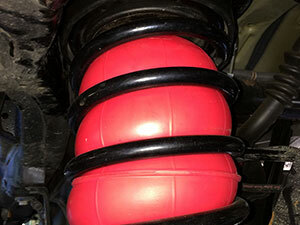 38-1/4" 39" +3/8" +3/8"
Setup = Air bags NOT linked together, using dual air lines. 35 psi. 0 lbs. 38-5/8" 39-1/8" +1/2" +1/2"
35 psi. 250 lbs. 38-1/8" 38-5/8" (1/2") 0"
Many times when carrying a full cargo load my rear view mirror tends to be blocked. This is when my Blind Spot Monitor and Anytime Backup Camera Mods come in handy. Check them out!